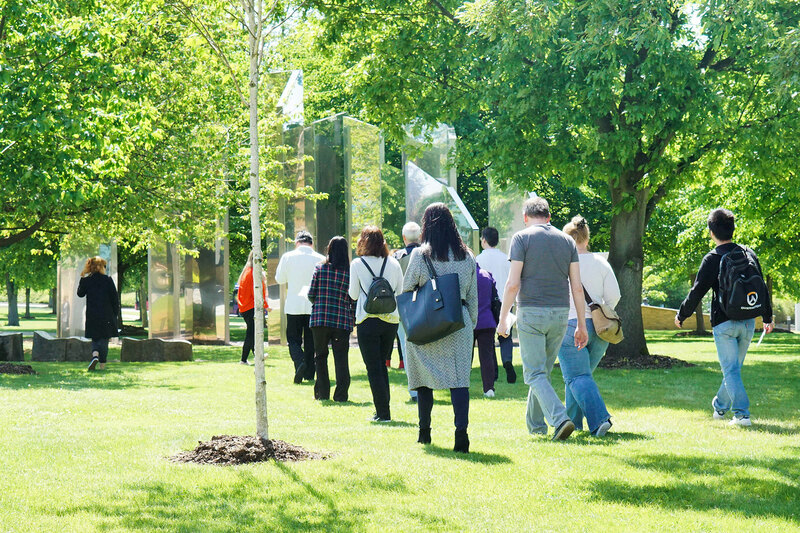 On the first Thursday of every month, UHArts hosts a free guided sculpture walk exploring the outdoor sculptures on the College Lane campus. The Sculpture Walk presents an eclectic group of works which map the changing characteristics of British Sculpture since the 1950s, including a bronze torso by Henry Moore’s pupil John Farnham and a bespoke wall relief map by Trevor Tennant. The trail reveals Land Art by Andy Goldsworthy, as well as sound sculpture, interactive sculpture, assemblages and intervention into the landscape. Take a break from your work or studies and enjoy a lunchtime walk around the campus, paying attention to objects that you may have passed by or overlooked. We hope you will enjoy the range of different sculptures and the new responses they may trigger. Walks start at 1pm at College Lane Main Reception.